The quest for Daniel Craig’s replacement as the next James Bond is currently on, and with Idris Elba tragically out of the running, we’d like to throw another name in the ring: Kate Middleton. Is she a questionable choice? Maybe, if you’re a hater. Does she have the chops for super secret spy life à la Carmen Sandiego? Without a doubt. 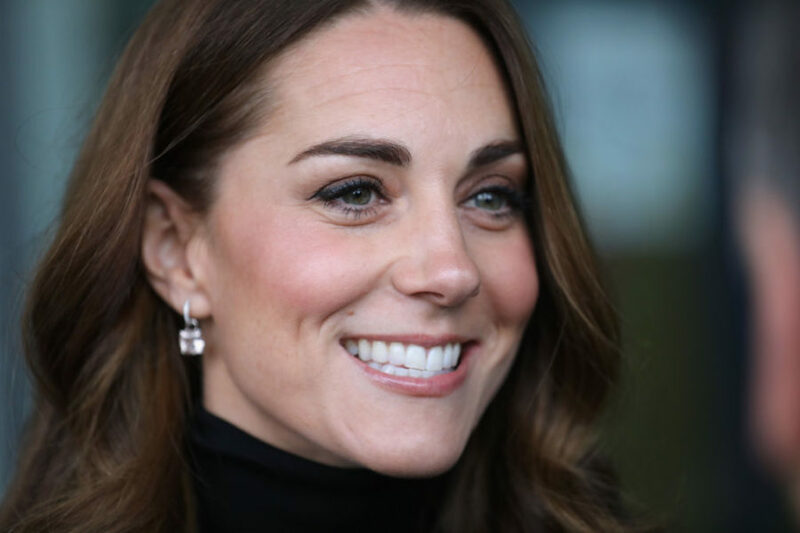 Middleton gave us serious 007 vibes with her latest look on Tuesday, October 30th when she stepped out with Prince William in Essex to visit Coach Core, a program that helps engage the community with sports. For the game-filled event, the Duchess of Cambridge went casual in skinny black jeans, a black turtleneck, and black heeled boots that had her looking like a straight-up secret agent. Her double agent status was weakened, slightly, with the addition of a chic Smythe blazer, which she wore outside to fight the cold. Let’s just chalk that up to part of her disguise, like Clark Kent’s questionably effective glasses.